UFC 217 George St. Pierre vs Michael Bisping Fight Pick & Preview | MMA Fighting Events Videos Techniques UFC Fight Picks and News. UFC 217 marks the return of a legend! After the alien talk way back on the Joe Rogan podcast , I never thought he would return. But, George St. Pierre (GSP) is back! His return fight is no warm-up as he’ll be facing the current champion Michael Bisping. This fight is going to be interesting as we’ll find out how sharp GSP can be after a 4 year lay-off. We’ll also see if Michael Bisping can defeat another MMA legend. Let’s take a closer look at these two fighters and then I’ll make my UFC 217: GSP vs. Bisping pick. Michael Bisping comes into UFC 217 with an overall MMA record of 30-7. 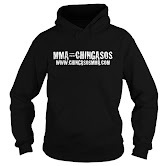 He’s definitely an MMA veteran and a proven one at that. Bisping has gotten better with age and now he can cement his legacy by defeating another legend. Bisping has already beat two UFC legends and future hall of famers in Dan Henderson and Anderson Silva. Michael Bisping in on a five fight winning streak. Bisping has shown excellent boxing and ability to throw chingasos. His takedown defense is solid, and he has a huge gas tank. He’s gone all 5 rounds in 3 out of his last 4 fights. He can also finish quick as he showed in that first round KO of Luke Rockhold. He’s going to need the gas tank and a great takedown defense against GSP. George St. Pierre (GSP) retired with an overall MMA record of 25-2. He retired in 2013 on a 12 fight winning streak. At that time, he was the man in MMA. He epitomized what an MMA fighter should be. He had great wrestling, great stand up and great jiu jitsu. His strength and conditioning was top notch and properly fueled his skills. The knock on GSP is that he wasn’t a finisher. His last 7 fights all went the distance. While some see the lack of finishing as a bad thing, others see it as great strategy. Strategic fighting was a strength of his. He fought his fight and countered the strengths of other fighters perfectly. GSP ruled his era, but he hasn’t been in the cage in 4 years. 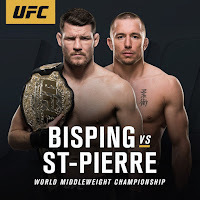 Look for Bisping to push the pace and test GSP early. But, GSP’s wrestling will be the difference in this fight. When GSP wants a takedown, he’ll most likely get it. 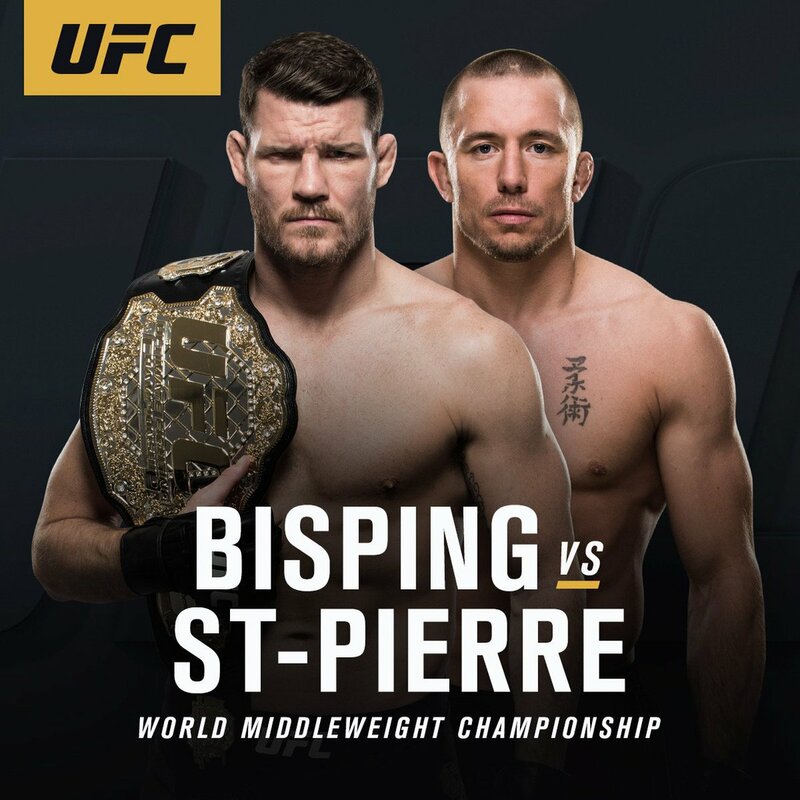 Once the fight goes to the ground, GSP’s ability to muddy up the fight with ground and pound will overwhelm Bisping. GSP will once again be pound for pound king of the UFC.